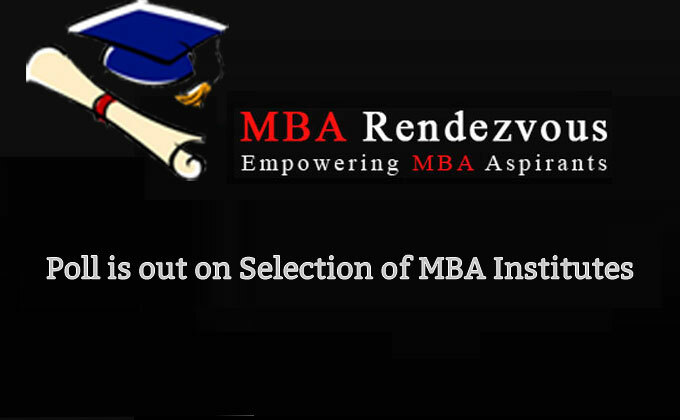 Since the phenomenon of demand and supply has emerged over a period of time, MBA aspirants have become choosy to opt out on selection of MBA Institutes. With this in mind Research Team MBA Rendezvous conducted poll with a question that - Which one of the following fascinates you most for selecting B-School? It is crystal clear from the above that MBA aspirants consider that placement is the parameter of more than 56.76 % of respondents to choose MBA Institute followed by Faculty and to some extent location of the institute, this can be a factor among female candidates. Alarmingly other factors like library, infrastructure has almost nil meaning for candidates. The moot point is that why placements have become such an important issue? The matter is simple because it is expected form professional course like MBA that one will be placed for a job cent percent. Market reality is that aspirant consider placement as their ROI. Notwithstanding above, the fact of the matter is that MBA aspirants will have to take entrance exams which will be lined up now in next few months. September MAT notification is already out with last date for Registration on 22nd August 2015. MAT is being conducted by AIMA on 6th September 2015. Over 170 MBA institutes will accept MAT score. AICTE will be conducting CMAT TWO TIMES in a year. The candidates will be given two opportunities to appear in CMAT; first in September 2015 and second in February 2016. On coming 26th July,notification for most coveted CAT 2015 will be out. Besides 13 present IIMs , newly announced 6 IIMs will also be accepting CAT 2015 score. The Indian Institute of Foreign Trade (IIFT) will conduct its written examination in the 3rd week of November 2015 for admission to its MBA-IB (MBA in International Business) programme 2016 - 18 at IIFT New Delhi and IIFT Kolkata. Notification in this regard is expected by 1st week of August 2015. Symbiosis National Aptitude Test (SNAP) is conducted by Symbiosis International University (SIU), Pune for admission to various Post Graduate Programmes for the academic year 2016 – 18. The SNAP Test is likely to be held on 3rd Sunday of the December 2015. Notification to this effect is likely to come by August 2015 last week. XAT or Xavier Aptitude Test is the entrance exam organized by Xavier Labor Relation Institute (XLRI), Jamshedpur. XAT 2016 is likely to be conducted in 1st week of January 2016. Notification to this effect is likely to come by November 2015.